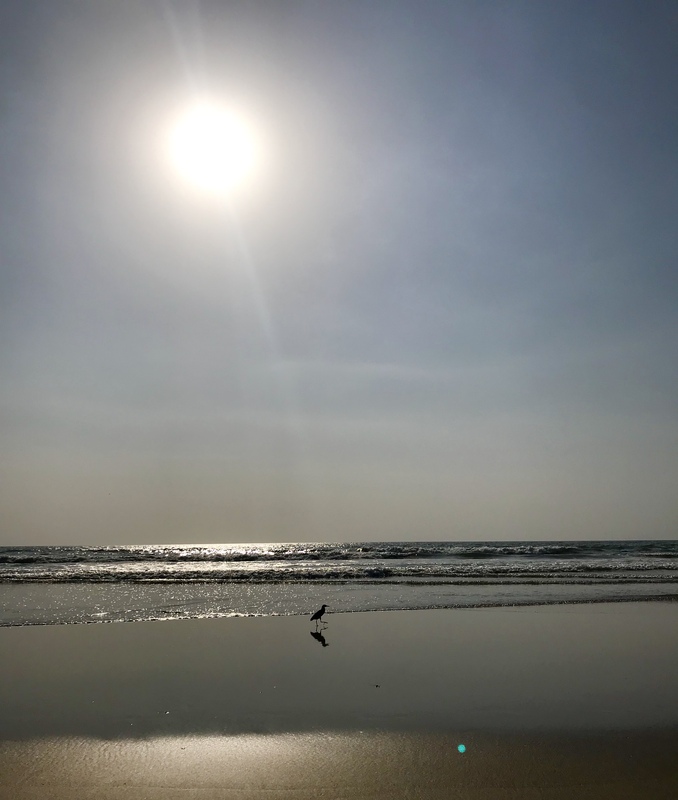 Just over a month ago, I was waking up to the exotic birds of India, lifting my face to the warm sun, and flip-flopping along the beaches of Goa. I was feeling free and light, while being grounded and centered. Today, I woke up to robins and cardinals in my own backyard. I lifted my face to the cloudy sky and smiled. I shoved my bare feet into my boots and clopped along my icy street. I was feeling free and light, while being grounded and centered. Happiness cannot be dependent on an idyllic setting or pristine conditions, otherwise we will forever be longing for and chasing that perfect moment, disappointed when it doesn’t come exactly how we had hoped. Happiness is ALWAYS there for the experiencing…if we allow it. Something about this first day of spring literally makes me want to BE happy, to FEEL happy, to SEE happy. Let’s choose to welcome spring with love and lightness…and YOGA! My regular classes are underway and I look forward to sharing this spring season with you on the mat!